Are you an aspiring model? Do you need head shots for an acting audition? Do you need a photo for your business card? 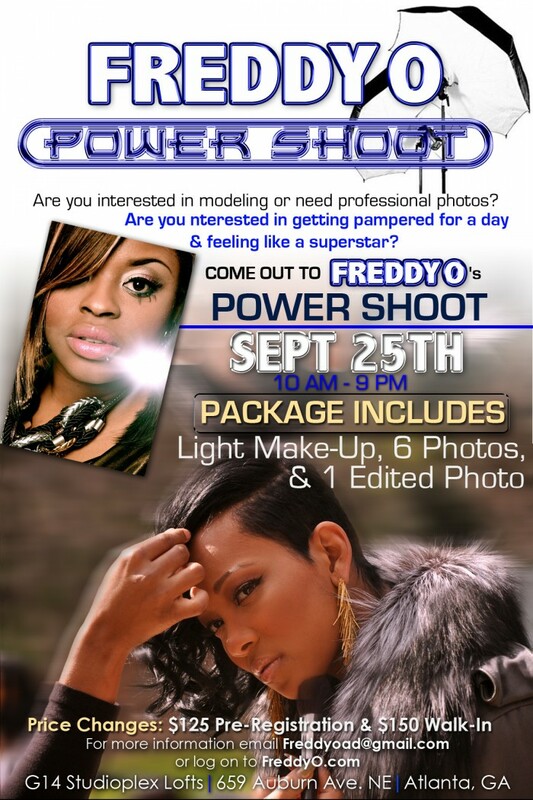 I, FreddyO – Photographer to the Stars, am having a photo shoot for all interested. Light makeup will be provided and snacks from The Cake Cafe will be available. FreddyO Powershoot Giveaway! Tweet @FreddyO! Damn I think I might go I had a great time last time I came. Freddyo has taken wonderful pics of myself and my family. You are the best Freddyo!!! I will most definently be in the bldg!